A set of 11 different certificates to celebrate children’s ability to write the numerals 1-9 correctly. Certificates are A5 sized, arranged 2-to-a-page. 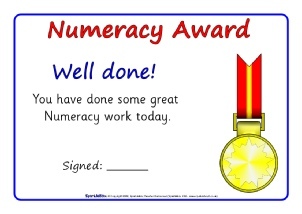 15 simple printable certificates for Numeracy work, times tables and multiplication tables. Some colourful certificates to award to your class ‘mathematician of the week’ and ‘most improved mathematician’. 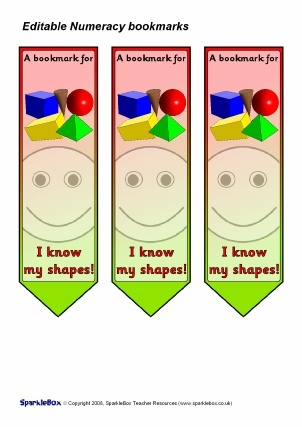 A set of editable templates (Microsoft Word) with colourful Numeracy bookmark designs. 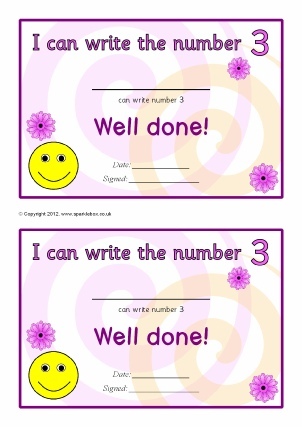 Present these to your pupils as rewards for achievement and effort. 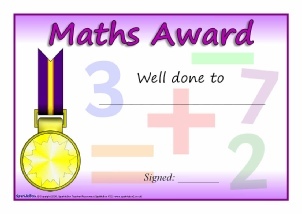 Simple certificates for your Maths/Numeracy awards. 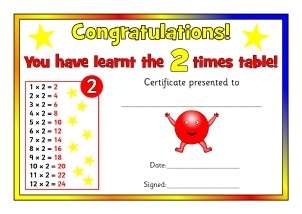 A set of colourful certificates to present to your pupils when they have learnt each of the times tables. 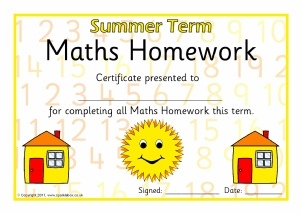 A set of certificates to present to pupils each term for completing their Maths/ Numeracy homework. 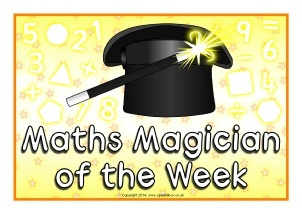 A magic-themed poster heading with the title, ‘Maths Magician of the Week’. 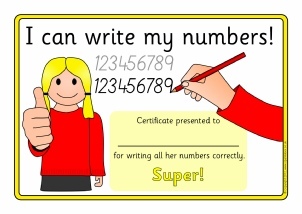 Simple certificates to present to children who can write their numbers. 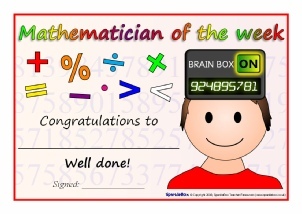 A magic-themed printable banner with the title, ‘Maths Magician of the Week’. 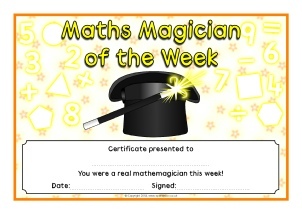 Printable maths certificates with a magic theme.